A study led by the University of Southampton has found that people who continue to get problems from their asthma, despite receiving standard treatment, experience an improved quality of life when they are taught breathing exercises. The majority of asthma patients have some degree of impaired quality of life. Researchers, funded by the National Institute for Health Research (NIHR), also found that the benefits of the breathing exercises were similar, whether they were taught in person by a physiotherapist in three face-to-face sessions, or delivered digitally for use in their own home (in this study via DVD). Their findings are published in a paper in the journal The Lancet Respiratory Medicine. The controlled trial recruited 655 UK adults who reported impaired asthma-related quality of life. Participants were randomised to receive a breathing exercise intervention delivered via DVD (261 people), or face to face with a physiotherapist (132 people). A third ‘control’ group received ‘usual care’ (262 people), continuing to take normal asthma medication, with no further intervention. Both the DVD and face to face physiotherapy programmes improved patients’ asthma-related quality of life scores (over 12 months) compared with those receiving usual care, with improvements that are comparable to those achieved by increasing medication. Neither of the breathing retraining interventions (exercises) improved lung function or airway inflammation, suggesting they were not affecting the underlying biology of the disease. The programmes did not ‘cure’ asthma, despite improving people’s experience of having it. The number of asthma attacks was lower in the breathing retraining groups, but the reductions were not at a level of statistical significance. The NHS healthcare costs were lower for both breathing retraining groups than for the usual care control group, and were lowest when access was provided digitally. Savings made by delivering the programme in this way outweigh any technology provision costs. The team has made the contents of the DVD and the supporting booklet freely available through the website http://www.breathestudy.co.uk/. 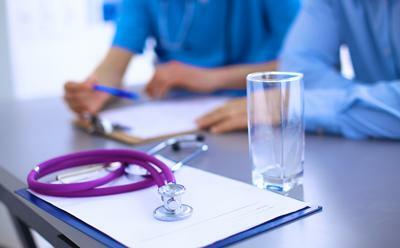 Asthma affects more than five million people in the UK and costs the NHS and social care (including disability payments) more than £1 billion each year. It led to at least 6.3 million primary care consultations, and 1,160 asthma deaths in 2012. While asthma medications can provide full symptom control for some, a recent European survey suggests this isn’t the case for most. The NIHR was receptive to calls from patients, carers and clinicians to fund studies looking into ways that could help asthmatics manage their condition. Professor Hywel Williams, Director of the NIHR’s Health Technology Assessment (HTA) Programme, says: “We are delighted to have funded this study in an area of research that is important to the public and medical professionals. “The need for more research into the possible benefits of breathing exercises as a physical therapy for asthma was identified by the James Lind Alliance (JLA) after patients, carers and clinicians highlighted it among their top 10 questions for research into asthma. Dr Samantha Walker, Director of Research & Policy at the charity Asthma UK, says: “Excitingly, this study shows that video can be just as effective as face-to-face support in communicating with people with asthma and encouraging them to better manage their symptoms. “It demonstrates how important technology can be in transforming healthcare and potentially the lives of the 5.4 million people in the UK with asthma. We’re urging researchers and innovators to work together to develop ways to help people with asthma through digital means, whether that is through video, SMART inhalers that can monitor the effectiveness of treatment, or apps to help patients manage their symptoms." 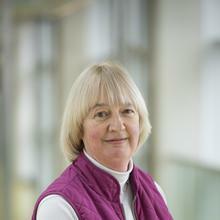 Anne Bruton is Professor of Respiratory Rehabilitation within Health Sciences, University of Southampton. She was the first physiotherapist to be awarded an NIHR Senior Research Fellowship (which she holds from 2013-2018) to fund her research into non-pharmacological approaches to the management of chronic respiratory disease. Anne’s research is aimed at finding and evaluating innovative solutions to respiratory problems. She and her team conduct studies that vary from exploring the patient experience, through testing new ways of monitoring respiratory disease, to clinical trials of therapies. 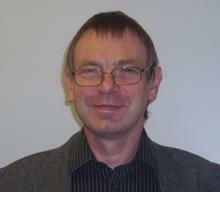 Professor Mike Thomas is Professor of Primary Care Research within Medicine at the University of Southampton.